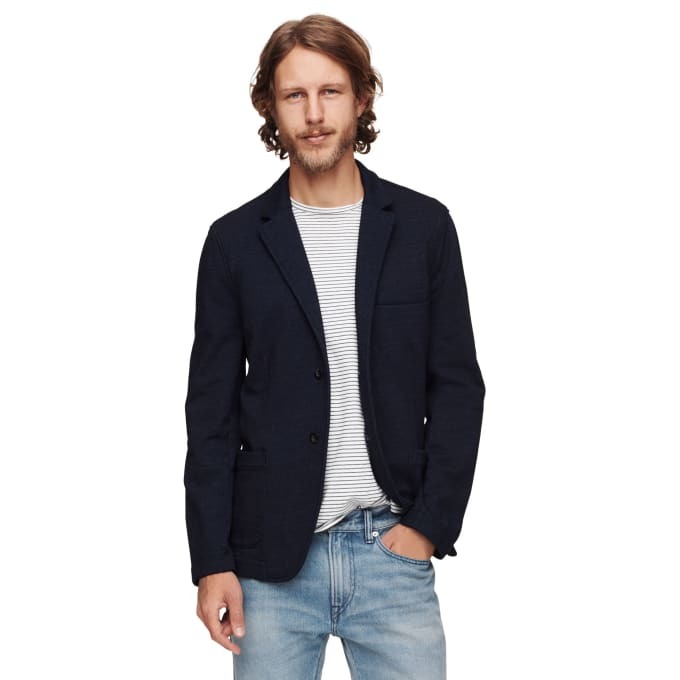 Club Monaco makes this reasonably priced indigo-dyed blazer, which is great for casual, but kind of dressy spring dinners. Oh right, and totally ruining any white fabric every. Really, sitting against whatever or wearing anything under this that isn&apos;t black, is about to get stained and fucked up beyond repair. Basically, you have to wear this over black and navy tees and hope to god you don&apos;t sit down on anyone&apos;s couch because you will be paying for it. That said, this is a pretty chill piece that is quite evocative of a stress free lifestyle once you get past the caveat I just mentioned.